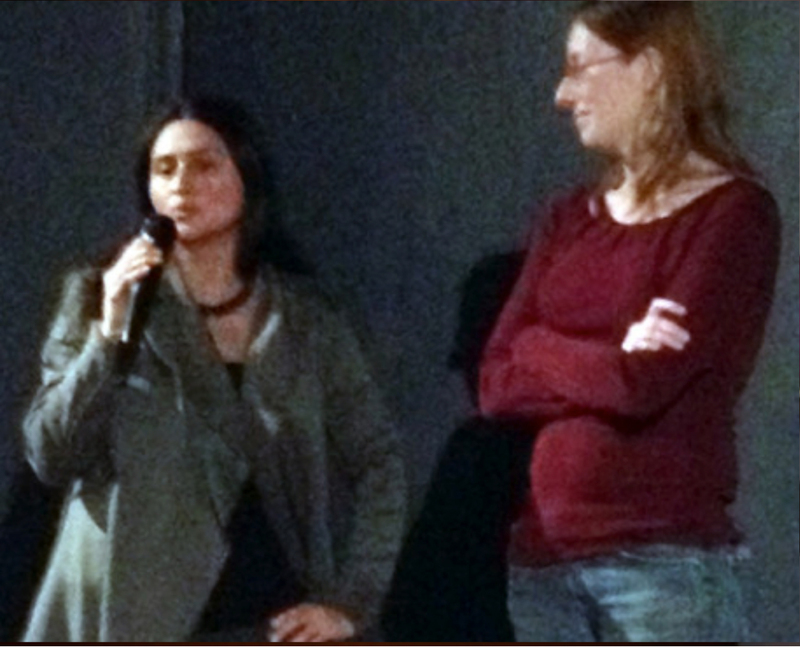 Christina Ibarra and Erin Ploss-Campoamor answer questions after the advance screening in Berkeley, CA. Early in my costuming career, I had a client come to me, asking me to build her an amazing 18th century period ball, complete with gowns and men in livery. It was to be a huge event. It was mystifying to hear this request in our conservative nation’s capitol. The event never happened, and I mostly forgot about it, but tonight I found what surely was my client’s inspiration: Las Marthas. Las Marthas debutant ball in Laredo, Texas dates from just after the Mexican American War and the resulting influx of Anglo migrants. The town celebrates George Washington’s birthday for the entire month of February, with the debutant ball as its centerpiece. “Las Marthas” is a film that documents it. The film is lovingly put together, highlighting two of the young women’s coming of age, and the work that goes into presenting them to society. Think quinceañera, but exponentially larger, and far more elaborate. In fact, a quinceañera, is considered “too populist” for these young women. Instead they wait until they are seniors in high school, and become queens. This little film is very dense with information and nuance. It’s a documentation of an exclusive event that is over 100 years old. For sewers, it’s filled with information on how these amazing dresses are built, managed, and worn. They can weigh as much as the young ladies themselves, and are wider than they are tall. It’s not a step-by-step instructional video for sure. That is not the purpose of the film, but there is a vast amount of data to be mined, involving applique and beading placement techniques, gown transport and deportment, and proper support undergarments for such a gown. You’ll be enthralled as Linda Leyendecker Gutierrez, the dress designer draws freehand on a piece of paper the beading placement of a gown. This woman is a force of nature. A 2012 Heineken Voces Documentary Award Recipient, Las Marthas, premiers on PBS Monday, February 17, 2014 at 10 pm on KQED. Check out the discussion guide here.